Robert Kubica has passed the FIA's mandatory Formula 1 extraction test, further boosting his chances of making a return to racing next year. The Polish driver took the test, which ensures a driver can exit a car within 5.0sec and replace the steering wheel within 10.0sec, on Monday ahead of his second F1 test of 2017 with Renault, which will take place this Wednesday. Kubica's pass ends speculation that his weaker right arm, injured in a serious rallying accident back in 2011, would hinder his ability to pass the test. Had he not passed, he wouldn't have been eligible for a return to F1 racing. 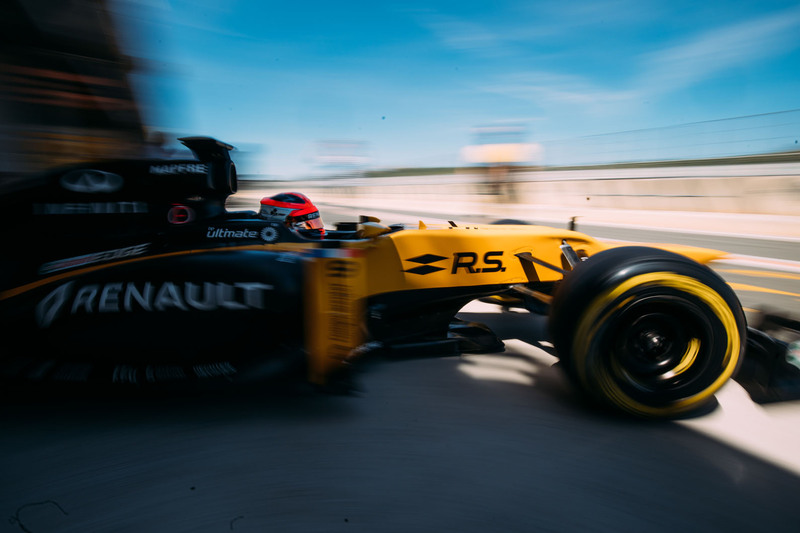 In an earlier F1 test in June - his first for six years - Kubica impressed Renault with strong pace and his ability to quickly adjust to the harsh environment of a top-level single seat racing car. Before this, Kubica had competed in world rallying and tested a variety of other racing cars. He almost closed a deal to compete in the World Endurance Championship earlier this year, but it fell through in April, leaving his racing prospects in tatters. It wasn't until his drive in a 2012-spec car, a Lotus E20 in current Renault livery, at the Circuit Ricardo Tormo, that rumours of a full-time grand prix comeback began to erupt. 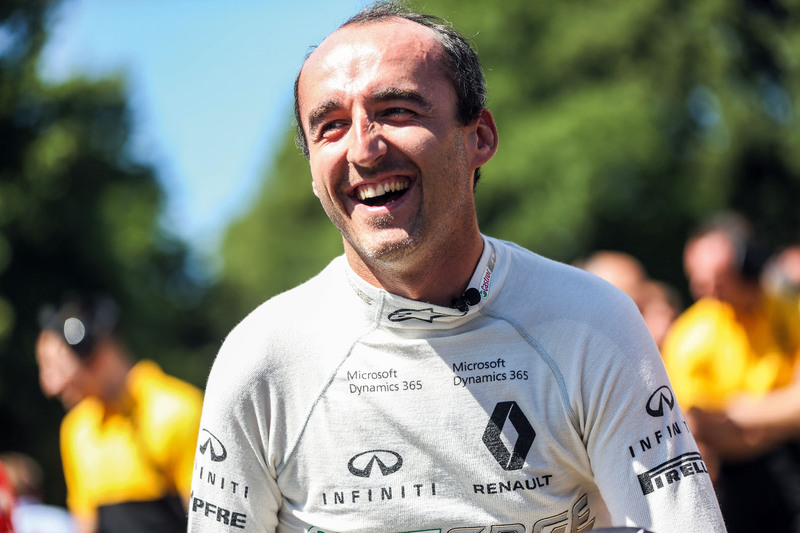 Kubica then drove the 2012 racer at the Goodwood Festival of Speed, where he was mobbed by fans eager to ask him about his comeback prospects. In the sanctuary of a Renault support truck in the Goodwood paddock, we asked him whether his fans should get their hopes up. Kubica's last F1 appearance at the season-ending Abu Dhabi Grand Prix in 2010 ended a four-year stint in which he had cemented himself as one of the top drivers, with one win (in the 2008 Canadian Grand Prix) to his name. Before the start of the 2011 season, Kubica sustained serious injuries to his right hand, arm and leg when he crashed his Skoda Fabia RS at a rally event in northern Italy. The result was a partial amputation of Kubica's forearm and his doctors doubted he would ever gain sufficient strength to drive an F1 car again. Kubica has not recovered fully – his thinner, heavily scarred right arm is proof of that – but he has improved significantly. In six-and-a-half years, the Pole has gone from not knowing if he would ever be able to use his right arm again to completing 115 laps – the equivalent of a full grand prix weekend – in a 2012 F1 car. The car was adapted so all the controls and both gear shifters were on the left-hand side of the cockpit. Kubica hasn’t been idle in the six years since his accident. He was back in a rally car in late 2012 and won the World Rally Championship’s second-division title in 2013. Kubica stepped up to the WRC proper, driving a Ford Fiesta RS, but two years in rallying’s top flight didn’t yield many solid results and a lack of sponsorship forced him to curtail his activities in early 2016. The lack of strength in his right arm didn’t prevent him from being competitive in a rally car, but the physical effort of racing for two hours in an F1 car appeared for some time to be beyond his capabilities. All the while, he was working on his arm strength. Kubica explained that weeks would pass with little progress, but then rapid improvement could follow in a matter of days. He stayed focused by working a lot on mental stability, or, as he calls it, his “mental zone”. His arm notwithstanding, Kubica believes he is in a better physical state than ever before, and he’s taking another look at circuit racing. Kubica has recently tested GP3 and Formula E cars, and showed good pace despite finding it difficult without power steering (unlike in F1, neither car is equipped with it). However, going head to head with Lewis Hamilton, Fernando Alonso and Sebastian Vettel requires more than just good pace. There’s no certainty about a Kubica return, but Renault has been impressed enough to offer him the second test. The fans want him back, but how highly does he rate his own chances of racing in F1 again? “Because I am very realistic and keeping my feet on the ground, I’d put it at 80-90%.” His followers will like the sound of those chances.